The International Hot Rod Association (IHRA) Summit Sportsman Spectacular debut in Louisiana is just one month away and now is the time to take advantage of the best value. The double-race weekend for the IHRA’s new bracket racing program is scheduled for April 20-22, 2018 at State Capitol Raceway, Port Allen, La. The greatest value comes for anyone who pre-enters this event. All pre-entered racers will get a buy one / get one free offer to help kick off our 2018 season. When you pre-enter and buy an entry for Saturday’s race, you will get a free entry for Sunday’s race. Online pre-entries are available at IHRA.com through April 9, 2018. Click here for online registration. There is also a contingency program that is available for all IHRA members who advance to the final two rounds each day. 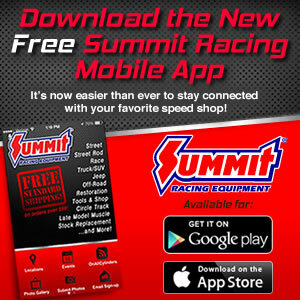 As part of its contingency program, Summit Racing Equipment will now pay for the win, runner-up and semifinal positions. Moser Engineering is the Saturday race sponsor and will provide a $300 product certificate for one Box and one No Box racer that will be presented to during the third round of competition on Saturday, which will be known as the Moser Money Round. There will also be a $150 certificate for one Junior racer. With the support of multiple partners, every round from the first round to the championship round has value. Prizes for the best-losing package of the first three rounds are listed below. The weekend program includes a test & tune, racer appreciation cookout and a golf cart race. The race weekend also features several rounds of prizes awarded to the best-losing package of first through third rounds. IHRA Ironman trophies and large championship checks for event winners will be presented Saturday and Sunday. IHRA partner Imagine That Customswill also award a custom painted one-of-a-kind trophy helmet to one competitor at the end of the weekend.